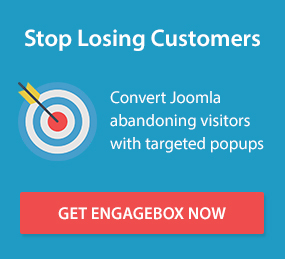 Losing your customer because you don't have a website for your small business? I can understand your pain because it is not that easy to develop a website if you are not a techie person. And if you want to grow and target the bigger market in this era, it is important to have a website for your business. And developing a website is a lot easier than you may realize, especially if you use Joomla to develop it. Joomla is a free and open source CMS which helps you to create a fully responsive, powerful and secure website easily and quickly. It is built on an MVC web application framework that can be used independently of the CMS that allows you to build powerful online applications. There are lots of reason why you should choose Joomla for your next project. JoomDev team designed a really helpful infographic which is showing you 13 reasons why you should choose Joomla over other CMSs. Hope you have liked the infographic. If you are using Joomla, let me know your views why you have chosen Joomla over other CMS. Your comments can add more value to this article.